California Highway Patrol claim the motorist responsible for the accident, a 30-year-old man from Lake Forest, was driving a Toyota Camry in the wrong direction. He was allegedly traveling at speeds of at least 100 mph when a police officer saw his vehicle and attempted to conduct a traffic stop. The man ignored the police and proceeded to strike a Ford Mustang in a head-on collision. The motorist of the Ford died at the scene. His passenger, a 24-year-old woman, sustained major injuries. Responders brought her to Orange County Global Medical Center. The suspected drunk driver also sustained injuries in the collision. Responders brought him to the same hospital for treatment. Police have not booked the man yet because of his injuries, but he could face severe penalties when they do. Authorities claim this is not his first violation. The man has a prior conviction for DUI and was allegedly driving with a suspended license at the time of the crash. If you sustained debilitating injuries in a catastrophic accident with an impaired motorist, you may be entitled to compensation for the damages incurred. To determine if you have grounds for a claim, turn to the Law Offices of Joel W. Baruch, P.C. Our personal injury lawyers handle collision cases throughout Irvine and all of California every single day. 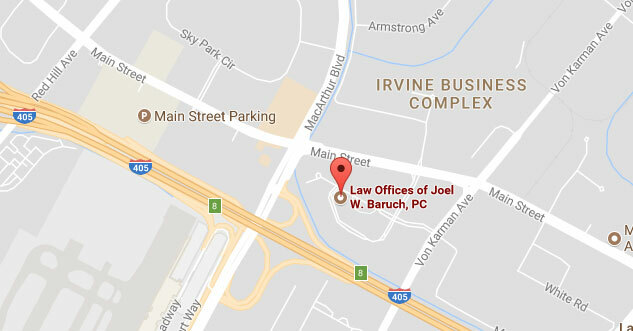 Visit our website at www.joelwbaruch.com to learn more about the quality legal counsel we provide, or call 949-864-9662 to schedule a consultation with an accident attorney in Irvine. What Are the Signs of Drunk Driving? While it is true that most drunk driving crashes seemingly come out of nowhere, it may be possible to avoid a collision with an impaired motorist in certain scenarios. For example, if you can recognize the signs of driving while intoxicated, you can keep your distance from any motorists exhibiting them and notify local law enforcement so they can assess the situation. If you were hurt in a collision with a drunk driver, turn to the Law Offices of Joel W. Baruch, P.C. Contact us to learn about our track record of achieving sizable settlements for accident victims. 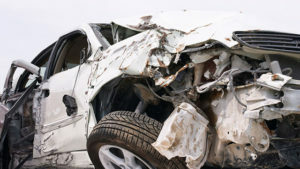 You can schedule a case evaluation with a car wreck lawyer in Irvine by calling 949-864-9662. To learn more about drunk driving claims in California, visit the USAttorneys website.